You don’t hear folks say automotive technicians have it easy. “Nothing could be further from the truth,” says Steve Perlstein, President of Mohawk Lifts. “Some of the hardest working and most creative problem solvers I’ve met are working at the local repair shop.” With new engine technology, vehicle software, and an ever expanding array of electrical components, it’s not easy being a technician. Yet while automotive techs have vehicle service lifts to make this difficult job a little bit easier, most forklift technicians in the US don’t have the benefit of a full-rise service lift to make PM’s, Repairs, and Diagnosis more efficient. 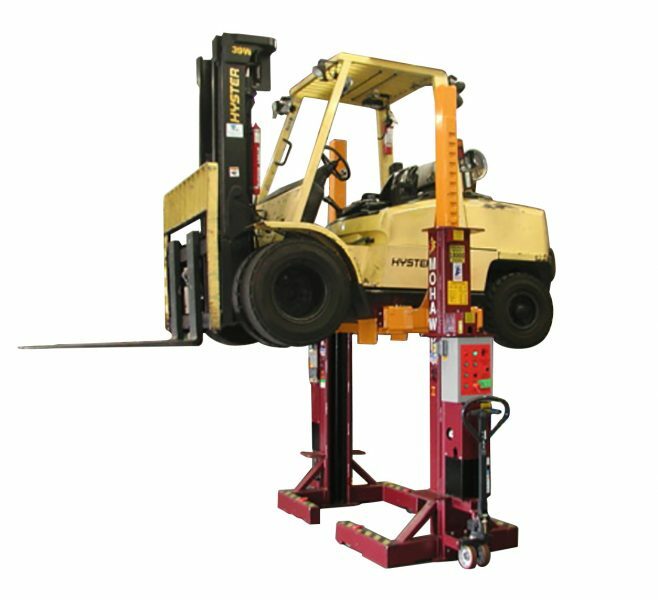 Hundreds of forklift service companies, in-house forklift technicians, factories, warehouses and distribution centers across the world are using Mohawk’s Forklift Service Equipment, yet the forklift maintenance industry as a whole has been slower to adopt forklift maintenance lifts than their automotive counterparts. The companies who have taken the time and done the analysis have purchased a Forklift Service Lift from Mohawk. Reliable equipment increases productivity and cuts costs. 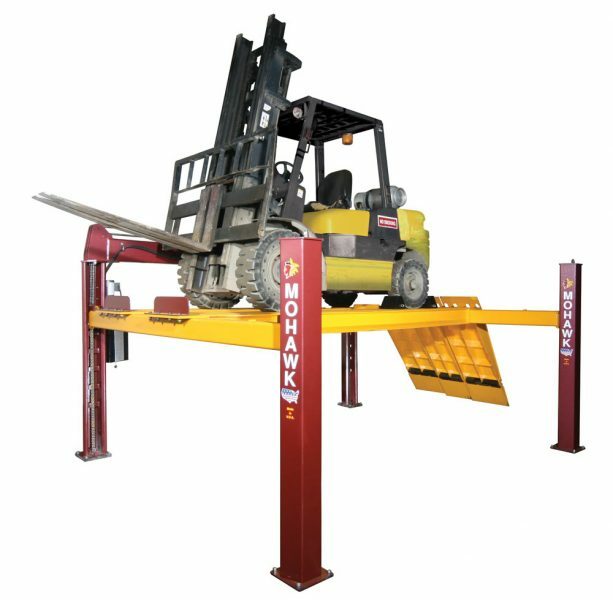 Forklift technicians using Mohawk’s 25,000lb Four-Post or 28,000 lb Mobile Fork Truck Service Lifts experience fewer injuries, aches and pains, and are more productive. Their companies reap the same time saving, revenue generation, and asset lifecycle benefits that automotive shop and fleets have benefited from by using a lift for years. “In this case, what’s true for one is true for the other,” added Perlstein. “We’ve even heard from shops that have reduced the total number of forklifts they buy and operate because they don’t expect one or two forklifts to be down all the time,” said Perlstein. Rick Martin, Service Director for Les Schwab says of Mohawk’s Lifts in June’s edition of Fleet Maintenance: “We don’t expect a service man to be available in an hour, so we buy lifts that NEVER cause us problems.” Les Schwab’s 458 locations have used Mohawk Lifts for 25+ years.